2003 Buick LeSabre Silver Blue Ice Metallic Accident Free Auto Check History!, KC Summers Certified!. Odometer is 83513 miles below market average! 20/29 City/Highway MPG At KC Summers, We're Family! 2000 GMC Yukon Summit White At KC Summers, We're Family! 2010 Toyota Prius Blue Ribbon Metallic Accident Free Auto Check History!, Proximity Key w/ Push-Button Start, KC Summers Certified!, One Owner!. 51/48 City/Highway MPG Awards: * 2010 KBB.com Top 10 Green Cars * 2010 KBB.com Best Resale Value Awards At KC Summers, We're Family! 2005 Nissan Xterra Silver Lightning Metallic Odometer is 41924 miles below market average! At KC Summers, We're Family! 2009 Buick Lucerne Dark Crimson Metallic Accident Free Auto Check History!, Leather, Bluetooth, Power Seats, Heated Seats, KC Summers Certified!, One Owner!. Odometer is 26850 miles below market average! 17/26 City/Highway MPG At KC Summers, We're Family! 2009 Hyundai Santa Fe Slate Blue Odometer is 13950 miles below market average! At KC Summers, We're Family! 2010 GMC Terrain Cyber Gray Metallic Accident Free Auto Check History!, Navigation, DVD/Entertainment System, Backup Camera, Sunroof, Leather, Bluetooth, Power Seats, Heated Seats, Premium Sound System, Remote Start, KC Summers Certified!, 8-Way Power Driver Seat Adjuster, Bluetooth® For Phone, Body-Color Bumpers, Charcoal Grille w/Chrome Surround & Accents, Chrome Appearance Package, Chrome Door Handles, Chrome Luggage Rails, Chrome Power-Adjustable Heated Outside Mirrors, Heated Driver & Front Passenger Seats, Leather Wrapped Steering Wheel, Memory Feature, Navigation System, Pioneer Premium 8 Speaker System, Power Programmable Rear Liftgate, Power Tilt-Sliding Sunroof w/Express Open, Preferred Equipment Group 4SB, Radio: AM/FM Stereo w/CD/DVD/MP3/WMA, Rear Parking Assist, Rear Seat Entertainment System, Remote Vehicle Start, Single-Zone Automatic Climate Control, XM Radio. Odometer is 56277 miles below market average! 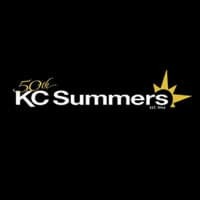 At KC Summers, We're Family! 2005 Chevrolet Tahoe Black Odometer is 73264 miles below market average! At KC Summers, We're Family! 2015 Hyundai Sonata Quartz White Pearl Accident Free Auto Check History!, Backup Camera, Bluetooth, KC Summers Certified!, One Owner!. 25/37 City/Highway MPG Awards: * 2015 KBB.com 10 Best Sedans Under $25,000 * 2015 KBB.com 15 Best Family Cars At KC Summers, We're Family! We try pricing our vehicles to apply to the general population, however, some rebates vary by zipcode. Also, rebates are often priced with a cash offer that is not compatible with special/subvented advertised rates. However, rebates can be calculated with options requiring the manufacturer’s higher standard rates and requiring approved credit. Tax, Title and Tags not included in vehicle prices shown and must be paid by the purchaser. While great effort is made to ensure the accuracy of the information on this site, errors do occur so please verify information with a customer service rep.